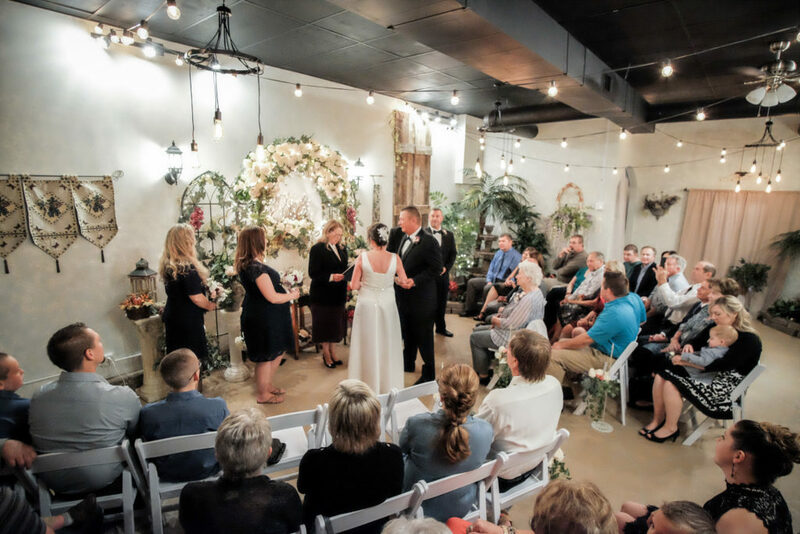 The Tuscany Gallery & Event Space offers a beautiful indoor setting for your small wedding or elopement. 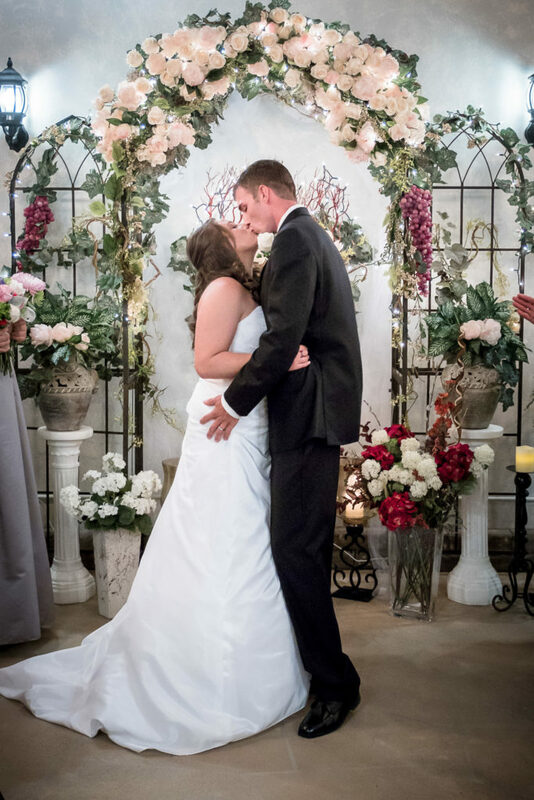 Experience the beauty of a ceremony in an area that resembles an Italian Courtyard with stucco like walls, water fountain, and greenery – a beautiful venue with lots of atmosphere and character. Guests can mingle in the open areas of a casual art gallery. Just minutes from gorgeous Quail Ridge Park for spectacular outdoor photos. All Inclusive – No Stress! Officiant, cake, flowers, photography, and music are all included! 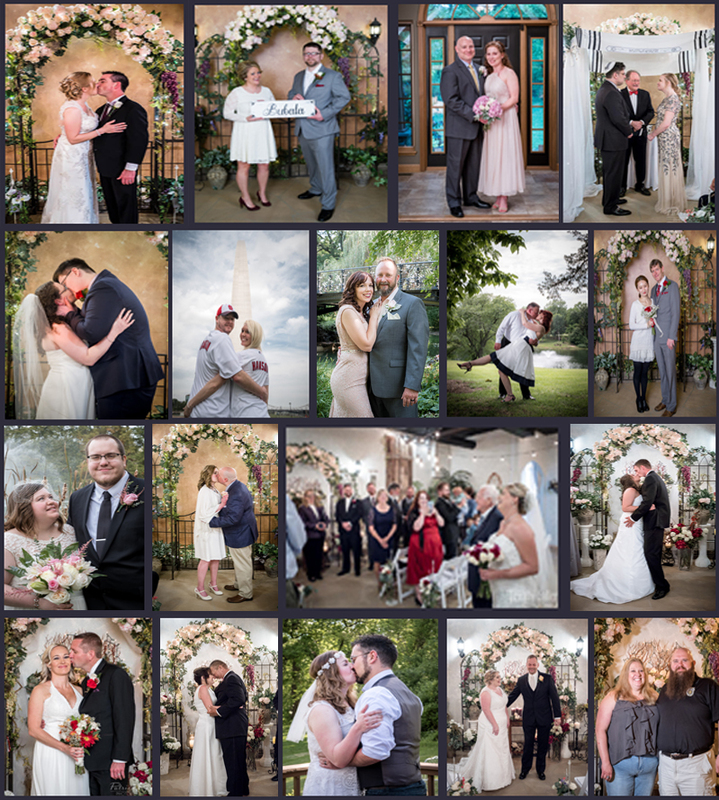 No decorating, no worries about weather, so you can relax and enjoy without the stress of a big wedding. 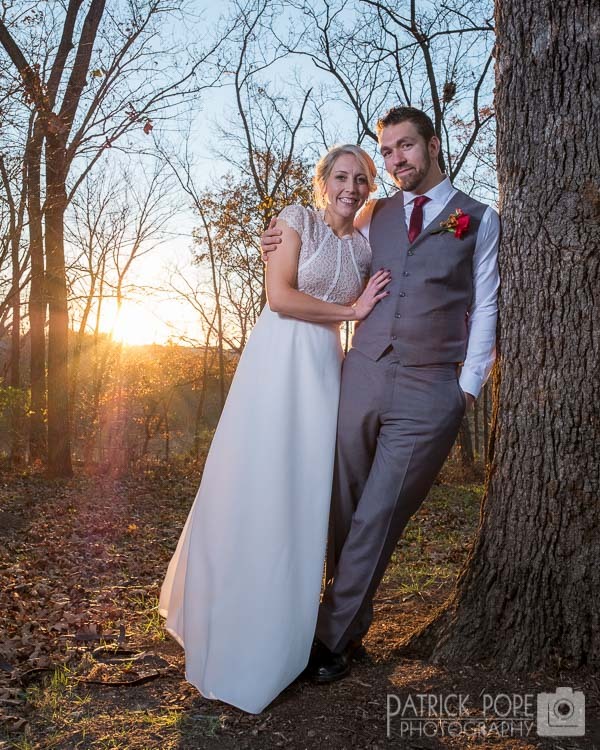 Elopement packages from $195. Small wedding packages from $995. You can cater yourself or hire any catering company you prefer. We’ve done all the work for you. Just pick a package and we’ll walk you through the few details needed to create the perfect small wedding that’s just right for you.